Many of David Ison s listeners tell him that they ve played his sleep and relaxation albums every night and day . . . for years. It s a testament supported by the NIH s research and the use of his therapeutically proven music in hospitals across the US. With Chakra Awakening, this acclaimed composer and sound healing pioneer brings loyal fans and new listeners an exhilarating new merging of his music, breathwork, and guided practices. On the first CD, David provides an introduction to the Ison Method s principles: how music and meditation work together to help us easily enter deep meditative states, attune to the unique energy or generative essence of each chakra, and spark transformation in daily life. The second CD contains two thirty-minute Harmonizers that guide listeners musically through the body s chakras. Level One awakens gratitude and the energy of each chakra, allowing us to experience and celebrate our full incarnation in the body. Level Two helps resolve imbalances among the seven centres and unify them, giving us the power to choose and act in full alignment with our true potential. 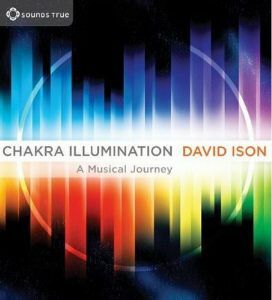 Reflecting over a decade of research and self-exploration into the sacred geometries and principles of therapeutic music and the human energy system, Chakra Awakening offers a rich experience of David Ison s newest work in an enjoyable and life-changing daily practice.